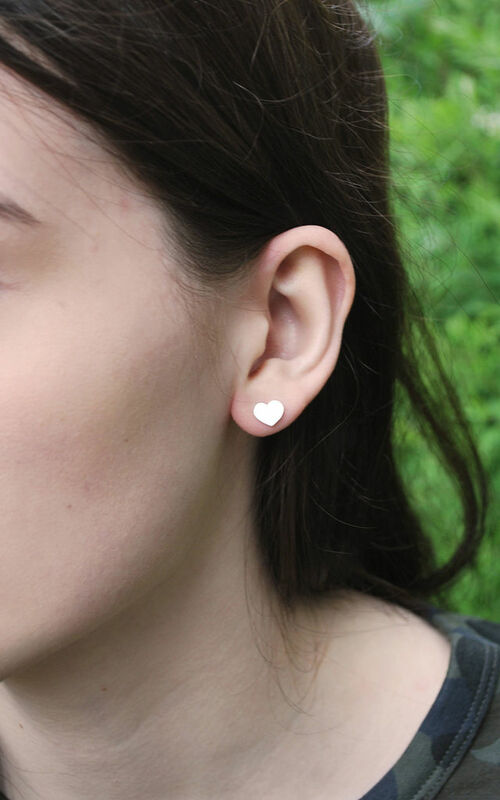 Small lightweight silver plated heart earring, a perfect gift for a loved one! One dimensional design sits flat on the ear, with a brushed, matt finish. 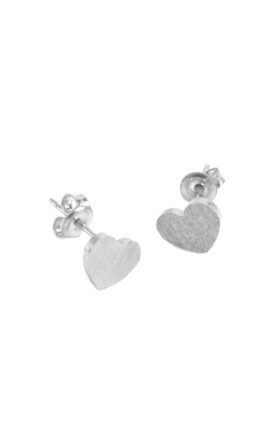 Sterling silver plated hand made brass which is hypoallergenic (free from lead, nickel and cadmium). Complete with a White Leaf gift box.